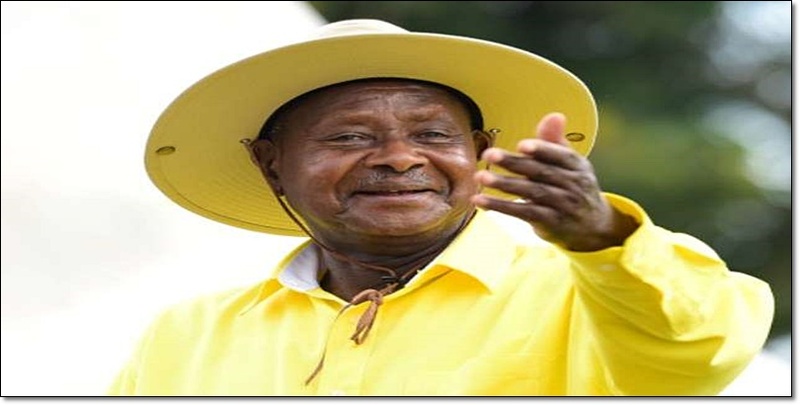 National Dialogue: Museveni Sleeping Pill to Ugandans? Since talk and preparations for the national dialogue were put in motion over a year ago by a host of shepherds led by Inter-Religious Council of Uganda, The Elders Forum and Women’s Situation room; a section of Uganda stakeholders have been peddling doubt, skepticism and sometimes outright conspiracy theories. Some say that President Museveni is using the dialogue to throw cold-water on the political resurgence driven by youth in many formations that seem to have metastasized around the ‘People Power Movement.’ Merchandisers of this theory argue that Museveni figured out that the post-age limit removal in the constitution would be a restless Uganda that sees no pathway to peaceful and seamless transition from Museveni; and as such, President Museveni badly needs a vent to push out anger and a platform to re-ignite hope that peaceful change is possible. The national dialogue would provide that vent and platform and in effect, get Ugandans to hope again and sleep, allowing Museveni time to plot and extend his rule into infinity! Such theories find fertile ground in Uganda because of many false starts and a Country that remains a graveyard of many negotiated settlements - from Lancaster, Moshi, to Nairobi. I still believe that as a Country, we should pick lessons from the past and shape a hybrid present and a golden future. That’s why I have always argued that the National Dialogue is Uganda’s golden parachute into the future. Without giving in to inside NRM skeptics and pandering to braggadocios and aloofness of massive NRM victory in recent Local Council elections, President Museveni and Prime Minister Rugunda have shown consistent interest in the national dialogue. They have met dialogue shepherds several times and put their views across. The only way other political actors and social formations can make it work is to also take on the process and engage in hard ball and consequential negotiations instead of dismissing the process. In the midst of dim clouds, a well-structured dialogue could be the only pathway to re-arrange power in Uganda and strengthen the position of citizens at the center of our discourse as a Country. The Uganda National Dialogue is also rooted in our Nation’s constitutional history, constitutional culture and evolving constitutional practice. Since independence, the national constitution has been used as the mechanism to establish consensus on major national issues. This is evident in the constitutional discourses of the 1960s and 1990s. During the 1960s, constitutional reforms were pursued as a purely technocratic process negotiated by or between elite constituencies representing a variety of interest groups. The people centered approach of the National Resistance Movement (NRM) embedded in its blue print document – The 10 Point Programme – democratized the constitution making process that produced the 1995 Constitution. The sovereignty of citizens. “We the people” is now well embedded in our constitutional framework and this sovereignty cannot be overridden by any other authority since citizens are the source of any other such authority. Importantly, the framers of the 1995 Constitution sought to bring to an end the culture of violent change of Government by prohibiting and criminalizing the overthrow of the constitution by force of arms. The Constitution prescribes “regular, free and fair elections” as the alternative and allowable mechanism through which citizens should express their will and consent on how and who should govern them. However, the electoral process has been severely undermined by incidences of extreme violence, vote rigging and obscene use of money. In some cases, national elections and constituency elections have produced war-like situations necessitating deployment of military hardware and personnel and in the process creating conditions that make a free and fair election nearly impossible. The growing contestation over elections and electoral outcomes are combining with electoral violence and obscene use of money to undermine the legitimacy of elections as a pathway to the future of sustainable peace, equal opportunity and shared prosperity. The point here is that the 1995 consensus needs a transition itself. Whereas there are constitutionally legitimate platforms to engage such as the National Consultative Forum (NCF), Parliament or the Inter-Party Organizations for Dialogue (IPOD) - and now the government appointed Constitutional Review Commission – it is important to discern that these platforms would not substitute the need for a national dialogue process for at least two major reasons. First, by their very nature, these platforms automatically exclude direct citizen representation largely because their membership is prescribed by law or the respective instruments by which they are established. Secondly, these platforms are inherently political platforms and mostly held hostage by the current partisan political gridlock. By their very nature, they pay more attention to our political differences while diminishing our collective citizenship and hence stand in our way to building a future that we all value and cherish. To have a legitimate citizen driven dialogue process, the shepherds will have to behave above suspicion for the platform can be taken advantage of by any political and social chess player. Good behavior and accountability will ensure citizens trust and fuel the process. Sticky issues like source of funding for the dialogue and modes of participation should be open. Happy Hanukkah fellow citizens. May this dialogue provide a million lights to illuminate Uganda’s future. The author is a coffee farmer and NRM card holding member from Nyamubogere cell, Nyeibingo village in Rukungiri District.